Includes a male and female screw together connector. 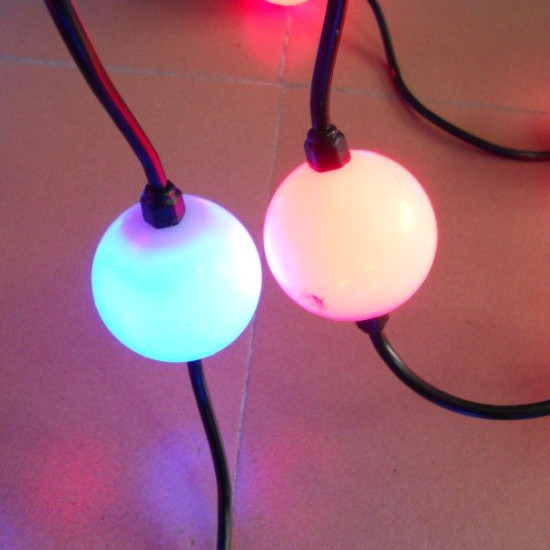 40 total RGB balls with 50mm diameter. 6 inch spacing for a total of 20 feet of lights on 18AWG wire. 12v powered ws2811 chip with 360 degree light dispersion.